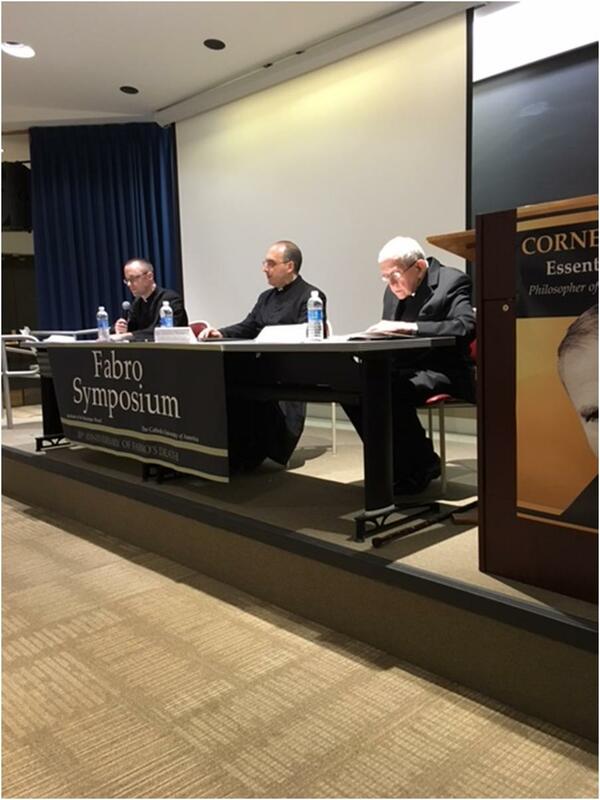 A “Cornelio Fabro Symposium” was held in Aquinas Hall, Catholic University of America, in Washington DC, from April 1st-2nd, 2016. 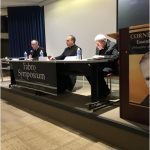 An American Stigmatine confrere was chosen by the organizers, to present a few thoughts from contacts in Rome with Father Fabro. 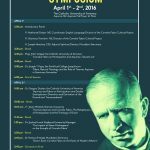 This “Fabro Symposium’ was organized by the ’Cornelio Fabro Cultural Project’ for the sake of bringing more and more students in this young 21st century, to an appreciation of the treasure that the Stigmatine, Father Fabro, has been for the Church through much of the 20th Century and beyond. 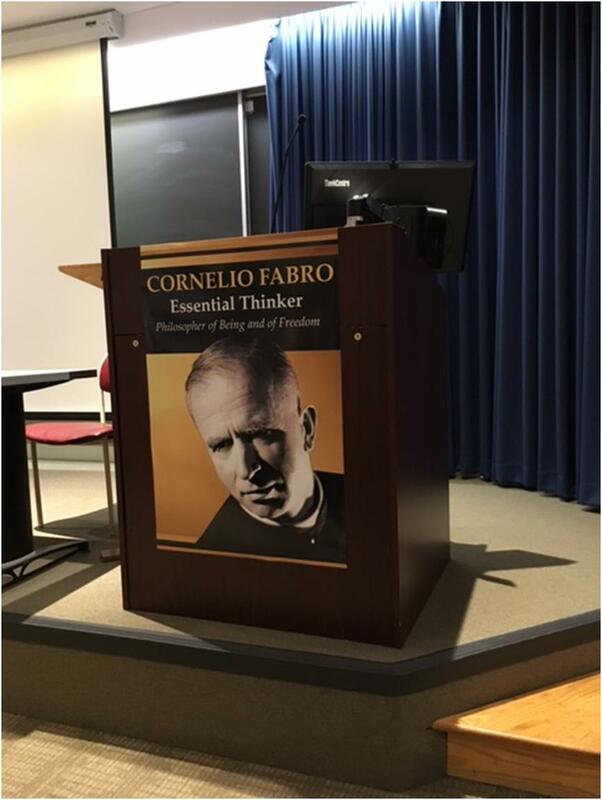 The “Cornelio Fabro Cultural Project” was founded on April 11, 2002, by the Superior General of the Institute of the Incarnate Word [founded in Argentina], Father Carlos Miguel Buela. This group has as its immediate aim the diffusion of the thought and works of Fr. Cornelio Fabro. On March 7, 2004 the “Project” was officially presented together with the publication of the first volume of the Complete Works of Fr. Fabro. Presently 22 volumes of the 100 planned volumes have been published. 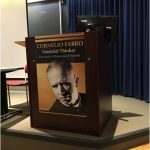 In 2011 the “Cultural Project” actively collaborated in the organization of different initiatives for the celebration of the centenary of Fabro’s death [August 24, 1911-May 4, 1995]. Mature Research: Through the war years and beyond, Father Fabro learned Danish in order to translate some of the extensive works of Soren Kierkegaard, a Danish Lutheran writer, often dubbed ‘the melancholic Dane!’ In more recent times, however, Kierkegaard has become an important ally to Catholic theologians. Some modern readers are suspicious, if not dismissive of Kierkegaard. However, the favorable mention of Kierkegaard by Pope St. John Paul II’s Letter on Fides et Ratio offers a further reason why Kierkegaard cannot simply be rejected out of hand. Father Fabro maintained that he had learned as much from Kierkegaard as he had from St Thomas Aquinas! These scholarly studies led Father Fabro to study in great depth the phenomenon of modern atheism, now appearing in English Translation as “God in Exile” [Newman Press 1968, translated by the Canadian scholar Arthur Gibson – with an enthusiastic Foreword composed by the renowned scholar, John Macquarrie. 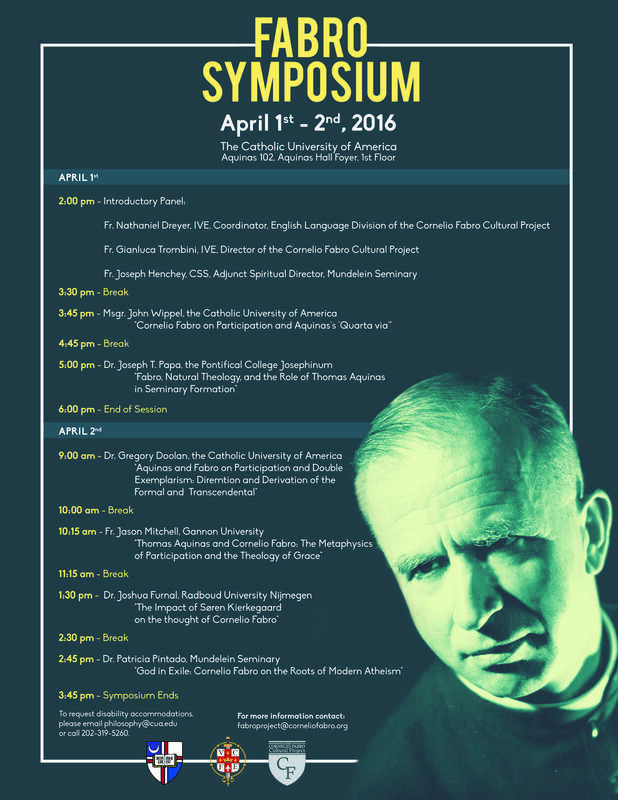 Spiritual Fulfillment – these would Fabro’s Vatican II years and beyond, 1965-1995. He was appointed to be one of the Consulters in preparation for the Council. In this period, his fertile pen produced some truly extraordinary works: Prayer in Modern Thought; Gemma Galgani a Witness of the Supernatural [Published by the Passionist Congregation]; Times of the Spirit [2 volumes published by the Franciscans of Assisi. Gaspar Bertoni: A life illumined by the Supernatural [published posthumously in 2009]. There is an unusual parallel in Kierkegaard’s dates – 1813-1855 – with St. Gaspar being at the Stimmate, 1816-1853. While they were contemporary, there is no indication that they had ever known each other; there is nonetheless a striking consonance of some spiritual principles shared by Father Bertoni and Kierkegaard. [41.] Introduction to the Spiritual Exercises. While visiting the altar of St Ignatius with my companions I felt much devotion and recollection with great inner cheerfulness and some tears – even though the visit was short. I had the feeling that the Saint was welcoming us and inviting us to work for the greater glory of God as he did. To work in the same ways: though not using all those means [‘modi’] that he was able to use. He seemed to tell us: “Onward, soldiers of Christ! Gird yourselves with fortitude! Pick up the shield of faith, the helmet of Salvation, the sword of the divine Word and fight against the “ancient serpent”. Make my spirit alive again in you and in others through you”. [59.] Feast of St Denis and the Maternity of the Virgin Mary. During the Eucharistic prayer of the Mass near the time of the memento, it seemed that my mind opened up to know with Whom was I speaking. I felt great affection and an enthusiasm of love in prayer. Then some outbursts of my heart for God and some impulses of my spirit towards God. I seemed to be like a person overwhelmed by the appearance of a great friend who had not been seen for a long time and on seeing him suddenly, he wants to throw himself at him and embrace him. Then I felt a desire that the vision could increase and an impulse to be able to reach the Supreme Good. Since I was in public I feared [the feeling of] some vanity and I [made an effort to] think of my most serious sins. As a consequence [I felt] an increase of knowledge of goodness and love which dissolved in most soothing tears which lasted until after Holy Communion. In the meantime, faith and confidence increased very much together with humility and loving reverence. Lastly, at Communion, a very intense devotion and sentiment similar to that of my First Holy Communion: an experience that I am not aware of having felt since. The recollection lasted for another hour and it remained for the rest of the evening. Contemporaneity: A life-long influence for Father Bertoni was his daily sufferings from the age of 45 until he was 76, when he died. This was a life, that of Father Bertoni, about half of which was spent on the Cross, with his long and painful illnesses, “… under the irons and the knives of the doctors …” as he himself often preferred to write, in a joking manner, especially to Father Bragato. This seems to demonstrate a capacity of endurance that amazed and moved even to tears the surgeons themselves. The documents speak of some 300 inflictions of deep lancing and incisions on his flesh in order to diminish a kind of cancerous growth which had invaded his right leg. The characteristic or the authentic originality of Fr. Bertoni’s grasp of this seems to be that of being more lived than theorized. It seems to spring from that unconditional self-emptying of his soul into the Mystery of the Incarnation. This derives from that interior thrust of his of transcending every adherence to creatures, which is at the same time, as a placing of himself at the total disposition of the will of God for the salvation of his brothers and sisters, in every occasion and at all times. The actuality of the figure and the undertakings of Father Bertoni can be summarized in two simple phrases: … A Man totally Evangelical and totally ecclesial. His was a soul permeated with the spirit of the Gospel, and devoured by his zeal for without boundaries. 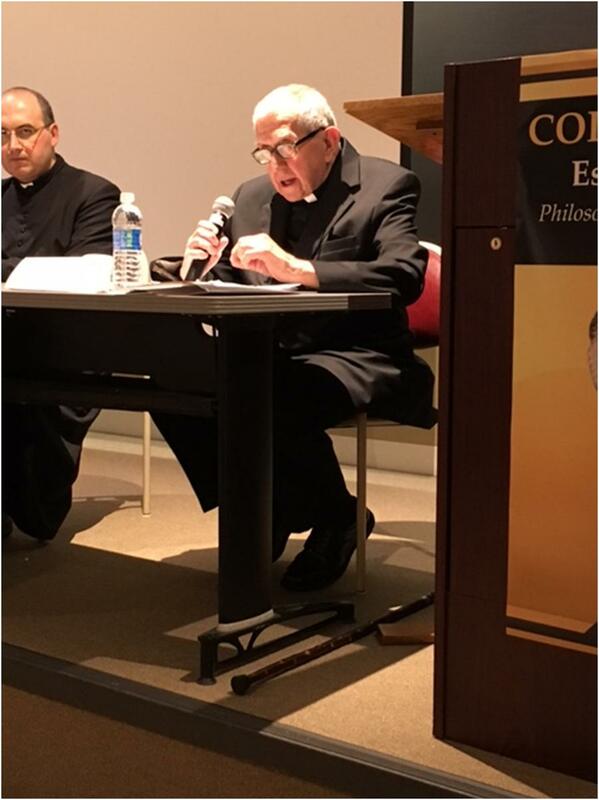 We learn from Father Lenotti that his principal study was Sacred Scripture, some of which he knew by memory. As a result his ordinary manner of speaking was fully scriptural. In the nearly iconoclastic fury which has attacked the sacred text on the part of some modern criticism, u. Father Bertoni’s times were quite different from ours. However, the sufferings of humanity, the crisis of faith, the situation of the Christian on this world… seem to intensify all the more as these realities impact every age, at every turn of human progress. The manners of thinking change, and also the prospects of civility: the trajectory of life towards the gulf of death, and being overwhelmed by the same enigmas, no matter what the number and the qualities of elements that work in its mutating arch. Today hope is much magnified, and this is good: however, for us, it has to be a Christian hope; it needs to address believers upward toward those immutable goods and yearn for that Augustinian Sabbath that will never end. Therefore hope must be nourished by faith, and must flow forth within its certainties’, and not get diverted into the earthly swamps rivet itself in some kind of a “foolish flight.” This needs to be a hope which enkindles one toward the elevation toward God and in the service of one’s neighbor. 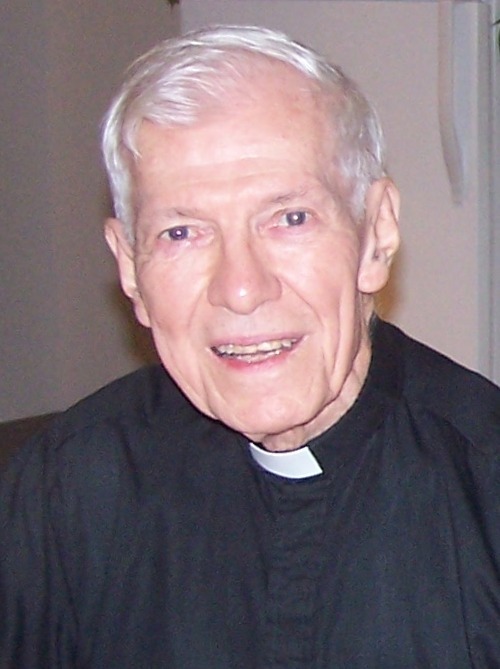 Father Bertoni was one who was malleable, but firm at the same time. He knew how to ponder the signs of his times, he read and had others read the daily newspapers as something most useful from which one might draw new avenues for the apostolate. However, he observed in his Diary: “… It is necessary to enter into the house of another in a manner so that what we might learn then to lead others to ours.” This is a rule of realism and of boldness, it seems to us and not just another form of aggiornamento of the Church in this world, or some other format of ‘dialogue with this world’, which have often amounted tactics of equivocal compromises. What needs to be concluded from all this is a service of fidelity to the salvific Truth with respect to the mystery of freedom. 1] Translator’s Note:  in these last few paragraphs, Fr. Fabro offers a real theological presentation of Holy Abandonment, and provides excellent sources for further reflection. As I write this message, it is the Feast of Saint Joseph! Our Holy Founder, Saint Gaspar Bertoni, gave us Mary and Joseph, as our Holy Patrons. May Saint Joseph guide and be with you each day! This certainty of ours is based not on simple human reasoning, but on a historical fact of faith: Jesus Christ, crucified and buried, is risen with his glorified body. Jesus is risen so that we too, believing in him, may have eternal life. The resurrection, then, is not a theory, but a historical reality revealed by the man Jesus Christ by means of his “Passover”, his “passage”, which has opened a new way between heaven and earth (cf. Heb. 10.20). It is neither a myth nor a dream, it is not a vision or a utopia, it is not a fairy tale, but it is a singular and unrepeatable event: Jesus of Nazareth, son of Mary, who at dusk on Friday was taken down from the Cross and buried, has victoriously left the tomb. The resurrection of Christ is our hope! This the Church proclaims today with joy. She announces the hope that is now firm and invincible because God has raised Jesus Christ from the dead. She communicates the hope that she carries in her heart and wishes to share with all people in every place. As always, Pope-emeritus Benedict XVI writes so eloquently. He captures the essential Easter message of hope. Thank you for visiting us through this medium of communication. Please be sure of our continued prayers for you, your loved ones and all your intentions. 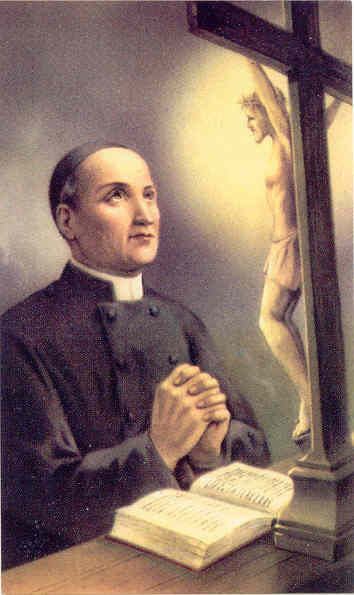 As always, we ask you to pray for vocations to the Stigmatine Priesthood and Religious Life. A blessed and joyous Easter Season! 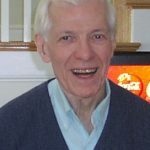 My husband, Vicente, and I had the opportunity of meeting Father Jim Cunningham in the year of 2004, almost 12 years ago, when visiting the Stigmatine community in Waltham, MA. For all the times I had the opportunity of being with him, I had a clear understanding that I was with a Saint, that had just come down from heaven.He used to give a blessing to whoever he met during the day, and tell each one words of love, peace and hope. 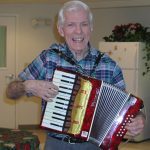 He used to offer Mass and play accordion in nursing homes. We had the opportunity of seeing him many other times, even though we don’t leave close to Waltham. Each time was a God’s gift to us. Now, he is just called back home by our Heavenly Father. While we are already missing him, we know we have now a new intercessor in heaven. May God rest you, dearest friend! Thank you for your loving presence among us on earth. 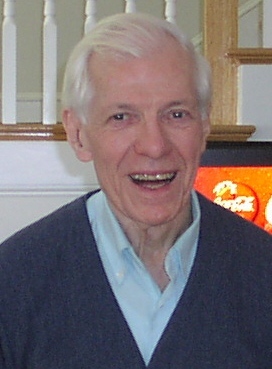 Reverend Joseph Michael Connolly, C.S.S. 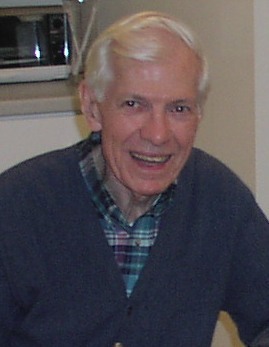 of the Stigmatine Fathers, 554 Lexington Street, Waltham, MA died on February 6, 2015 at Lahey Clinic, Burlington, MA. He was 84 years old. He was born in Brighton MA on November 5, 1930. His Father, Michael, was born in Spiddal, Ireland and his Mother, Mary (Connolly) was born in Oughterand, Ireland. Both parents are deceased. 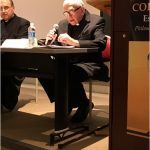 He leaves his loving family: Sister Marie Connolly, C.S.J. of Brighton, MA, John Connolly of West Roxbury, MA and Patrick Connolly of Roslindale, MA. 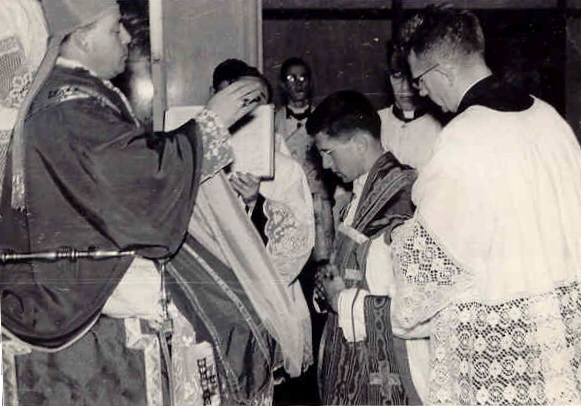 Father Connolly entered The Stigmatine Fathers’ Community at Waltham on September 15, 1945. 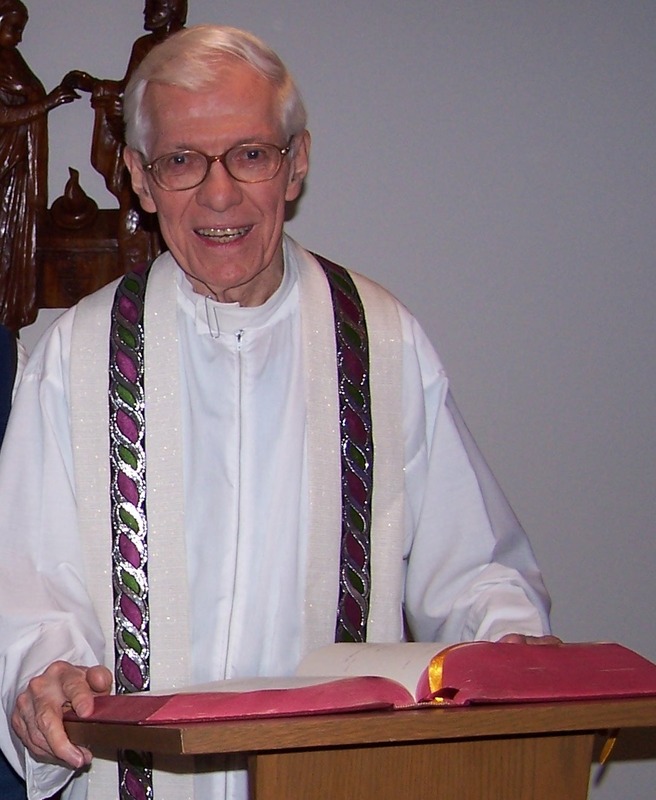 His First Profession of Vows was on August 16, 1951. 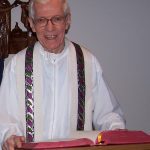 His Final Profession of Vows was on August 16, 1954. 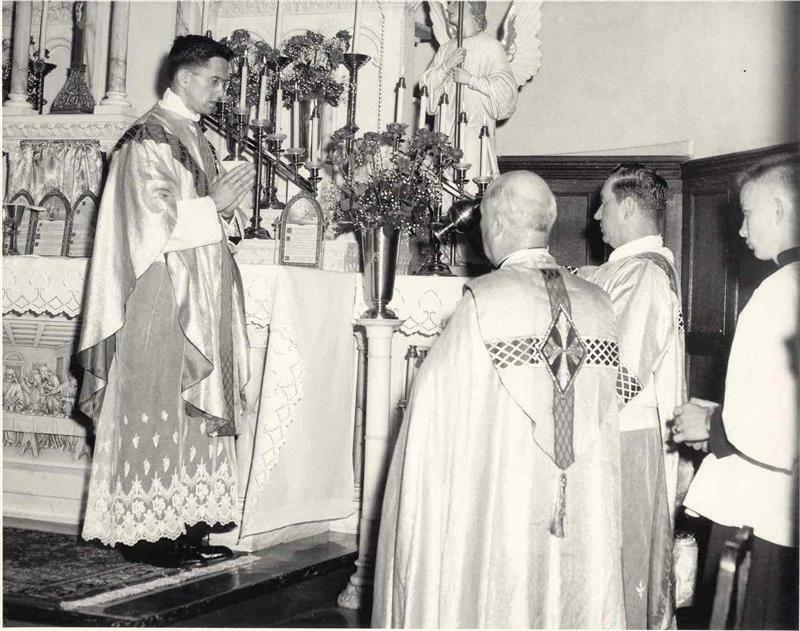 He was ordained to the Holy Priesthood on May 5, 1957. He received the Licentiate in Sacred Theology from the Angelicum University, Rome, Italy in 1957 and the Master of Arts in History from Boston College. Father Connolly served in a number of Stigmatine assignments: Parochial Vicar at the following parishes: All Saints, Manassas, VA, Mount Carmel, Springfield, MA, Holy Family, Lynn, MA and he was a teacher at the following schools: Stigmatine Minor Seminary, Wellesley, MA, Bishop Fenwick High School, Peabody, MA and Aquinas Junior College, Milton, MA. 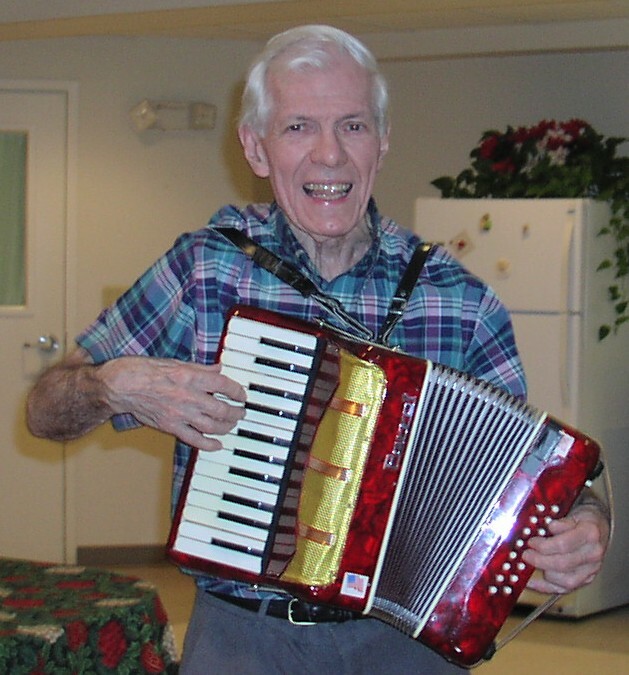 He also served as retreat master at the Espousal Center, Waltham, MA. 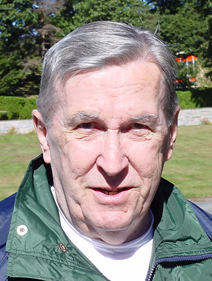 Father Connolly’s Wake and Funeral Mass will be held at Sacred Heart of Jesus Church, 5 East Main Street, Milford, MA on Thursday, February 12, 2015. 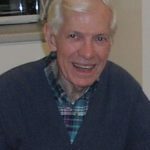 The Wake will be from 9 A.M. to 10:15 A.M., followed by his Funeral Mass at 10:30 A.M. Burial will follow the Funeral Mass at Sacred Heart of Jesus Cemetery, Milford. Wilma Morin and I went together, plus Colleen K. Kodjian and her husband came, so there was a representation of the Lay Stigmatines. The funeral was very nice. It was in the lower Chapel @ Sacred Heart, in Milford. There were some nieces, nephews and a few old friends there in addition to the Stigmatines…. also, Joseph Desir came, John (the cook) and Don. Fr. Greg was the chief celebrant, Fr. Deeker the master of ceremonies and Fr. Henchey gave a wonderful eulogy. The music was very, very good also. THANKFULLY the weather held for the burial. Although it was 30 degrees, there was no wind, and the day sunny. Afterwards, we returned to Sacred Heart for a nice luncheon in the community room, behind the downstairs chapel. A parishioner, who owns a deli, put up a dynamite salad, wonderful wrap sandwiches and delicious pastries. Fr. Linse was a very holy priest….never wavered in his ministry…. and, when he was too frail and too hard of hearing to be involved with others, he kept up his Bible Studies. All are an inspiration to those of whose are aging ourselves!